Better Cleaning Company Ltd. offers a broad range of top-quality cleaning services for private and commercial customers who live or work in London and the M25 area. All the services we provide are reasonably priced, have quality assurance and are carried out by professional cleaners. We industry standard cleaning equipment, methods, and detergents to ensure full spot removal & fibre protection. Our lines are open 24/7, so you can book us anytime you want! 1st class carpet cleaning is what we are famous for. Our carpet cleaners are very experienced and equipped to provide excellent carpet care for all types of carpets - a natural fibre, wool, synthetic and blended. Our dry & steam cleaning methods can remove even the oldest and most stubborn spot on your carpet. Delicate rug cleaning is a job that should be professionally carried out so any fibre damage is avoided. As a cleaning provider with more than 10 years of experience, we can deal with any kinds of rugs ( Tibetan, Persian, Turkish etc.) and completely remove all stains and bad smell. As a positive side effect, we’d mention a colour rejuvenation and dangerous allergen removal. We can deep clean your sofa or any kind of upholstered furniture for you. We use steam or dry cleaning depending on the material and textile of the upholstery. We will pre-treat all stains which are removable. The deep cleaning removes any dust, dirt and kills all harmful microorganisms living in your furniture and spreading in the air. Our mattress cleaning service can be done with steam or dry cleaning. But we can provide a modern cleaning method which is done with high-intensity UV light, and which kills 100% of the dust mites and any other microorganisms in the mattress. This is especially helpful if you suffer from dust allergies, eczema, eye and nose irritation, asthma and other conditions. Stone, wood, vinyl, concrete, linoleum, slate, tile…you name it, we can clean it. We can rejuvenate your hard floor and seal it to protect it from staining. Your floors will live longer and will look better if you let us take proper care of them. Our cleaners will clean all kinds of windows and outdoors. We can clean windows located up to the 4th floor without the use of ladders and from a distance. We also have rope access window cleaning teams for windows above the 4th floor. Our cleaners can also efficiently wash your windows from the inside as well. If you have just completed renovating a single room or your entire home, a cost-efficient after builders cleaning is the next step. Choosing us means you choose the best cleaners in London - our prices are competitive, we offer short notice appointments seven days a week. Complete dust, construction debris, paint, adhesive & splatter removal. Prices starting from £16 per hour. We will make your oven look and cook as good as new. Our modern deep cleaning method will ensure that the food you cook is healthier. The oven will use less energy and will take lesser time for cooking after we are done. We can deep clean any kitchen appliance, upon request. Our specialised end of tenancy cleaning is a top to bottom cleaning service which is performed so that you do not get your tenancy deposit withheld due to cleaning costs. This service is done in accordance with a pre-approved cleaning checklist. We offer a 48-hour quality guarantee and a free -re-clean if you have complaints. This service is hourly based, and our cleaners will clean just about anything you request for the hours they are given. It can include cleaning just one room or a specific item or cleaning an entire house or office. The choice is yours. Looking for a reliable business partner who can maintain your premises in pristine condition seven days a week? Search no more - Better Cleaning Company Ltd. is ready to provide time & cost efficient cleaning services 365 days a year. Our cleaners are skilled and don’t miss a spot. We provide top class office building cleaning, restaurant cleaning as well as retail & small stores cleaning. Call now and have a customized business offer for one off or regular cleaning today. 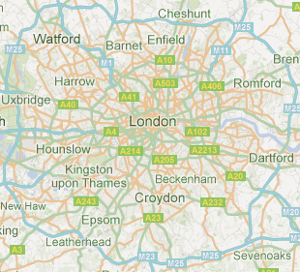 We offer a full range of rubbish removal services all around London. We offer all three major types of waste disposal: domestic (house, garage, garden, loft clearance; home appliances disposal, furniture & refurbishment waste disposal), commercial (office clearance, retail clearance, WEEE disposal) and construction materials waste collection. Upon request, we can provide a special Scotchgard treatment that will further protect your carpet or upholstery fibres. Also, if you are in a hurry and have no time to wait for your home to dry out after the cleaning session, we can provide powerful air movers. Your home will be clean & dry within an hour-two. Booking Us Has Never Been Easier! To book any of our professional cleaning services, you should simply dial 020 3746 3201 or fill in our booking form. Within 2 hours, you will receive a booking confirmation via e-mail and SMS. No deposit needs to be paid for booking. All of the prices of our services are firmly fixed, so you won’t have to deal with hidden fees and unplanned expenses. You can book a same-day emergency service, or plan ahead. Booking early gets you preferential prices. Booking 2 or more cleaning services can get you a 15% discount. Call now!